Wouldn't you want to live in this street? With the Eiffel Tower practically standing in your backyard. Yes, Please! 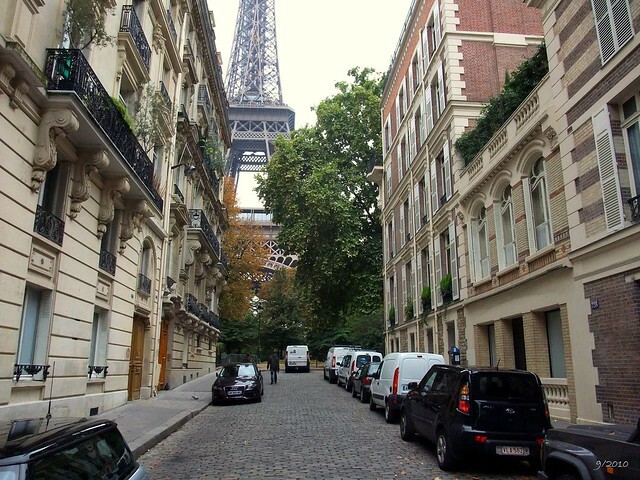 Oh, how I miss Paris, the people, the food, the cobblestone streets.. I need to win the lottery so I can move there! What a fabulous shot and what a location!! le *sigh*. It is indeed a fabulous shot. Do I have your permission to use this picture? That's a great shot... makes me feel homesick but in a good way.